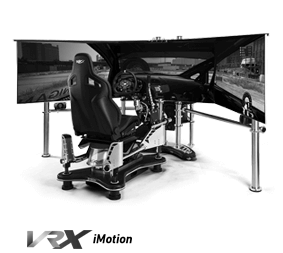 Manufactured and built in USA! 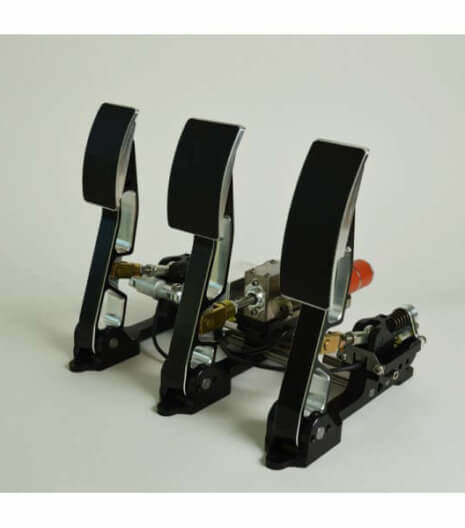 Belt driven with big ball bearings is free of drag or belt slipage and feels almost like a direct drive wheel and provides intense force feedback. 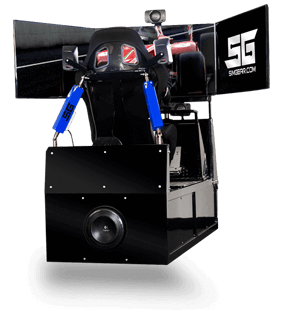 DUAL HALL technology: one on the motor and a second one on the axis provides precision on turn-in and helps click off fast laps. 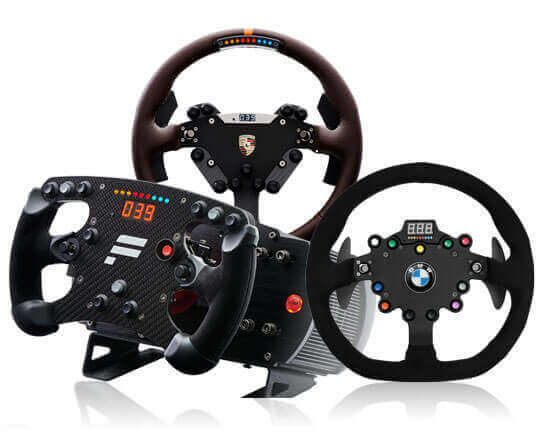 From the exact replica of a BMW M3 GT2 racecar steering wheel to one straight out of Formula 1, choose the one that best suits your session. 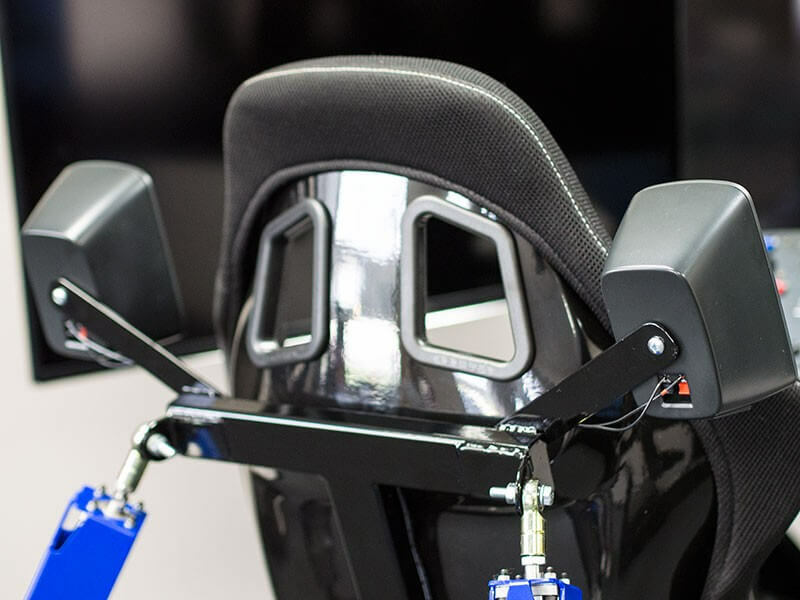 With a pull on the quick-release, swap out wheels as often as you'd like. Advanced displays and shift indicator lights ensure car data is transmitting right to the driver. 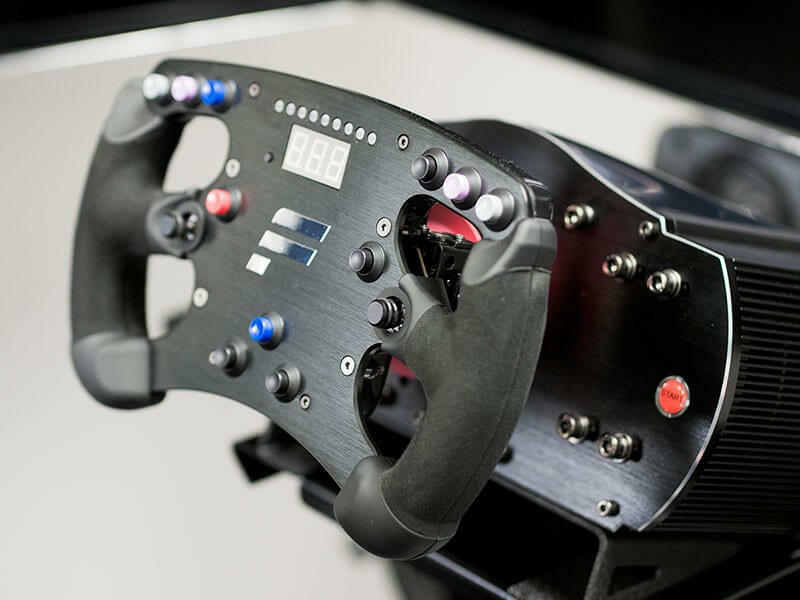 Authentic materials including carbon fiber, aluminum, suede, and alcantara provide the most premium feeling experience. 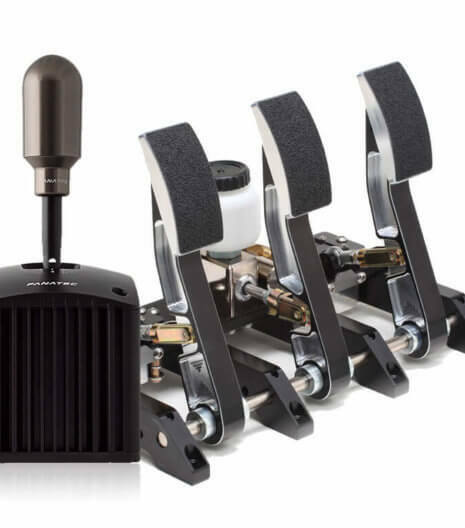 Nothing beats the feel of a true hydraulic braking system in the world of sim racing. 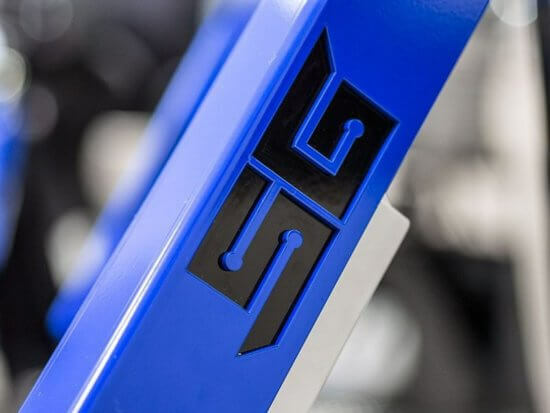 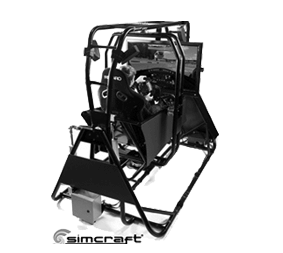 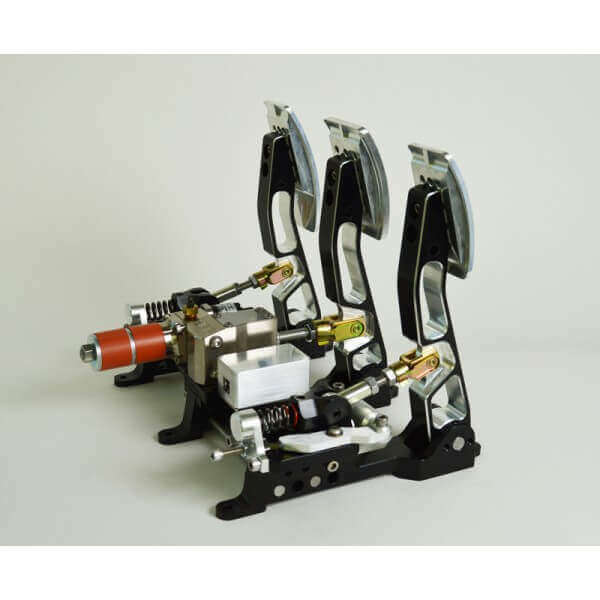 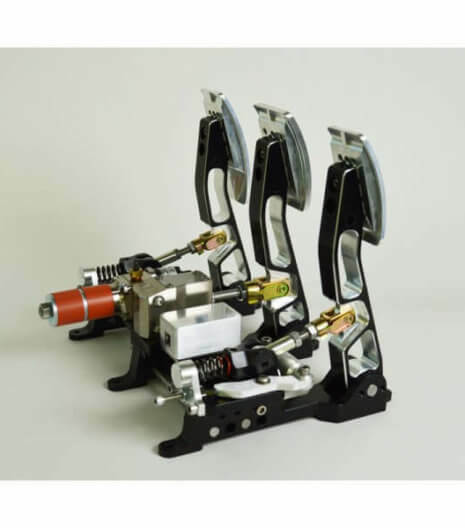 The SimGear GT Elite includes HPP pedals that integrate a master cylinder with a reverse acting slave cylinder. This avoided the need for any additional fluid lines, as well as providing a very compact footprint in size. Machined out of 6061T6 aluminum, along with the use of only high quality hardware and components ensures HPP’s pedals can take the most rugged use and are of the utmost in high quality. 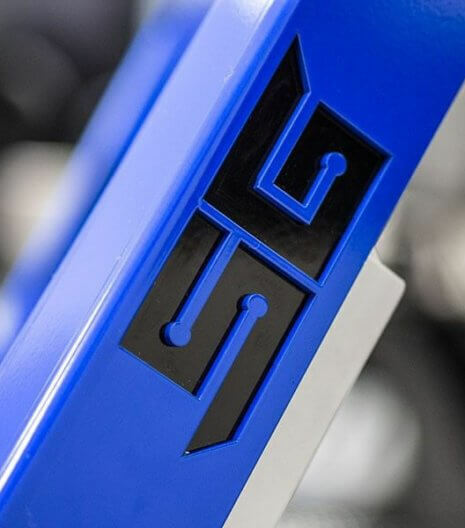 The ClubSport Shifter SQ comes with two titan grey polished anodized knobs. 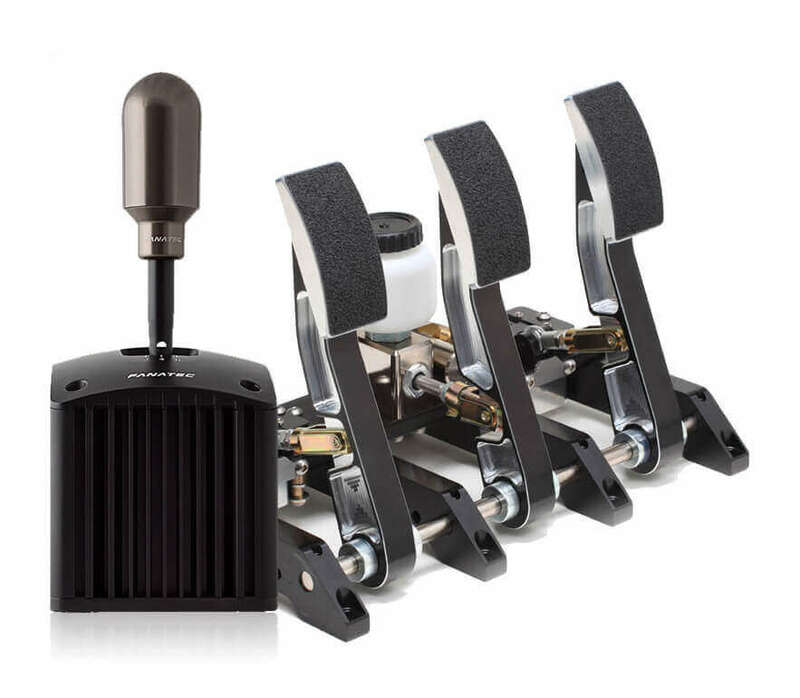 The H-Knob allows for quick shifts whereas the sequential knob provides extreme comfort. They both deliver a timeless, classic and elegant look. 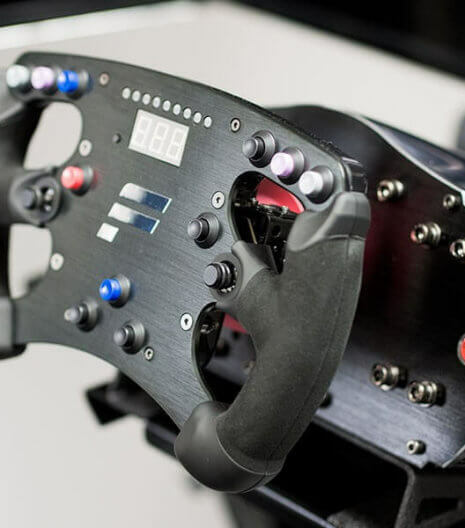 Want to use your own knob? 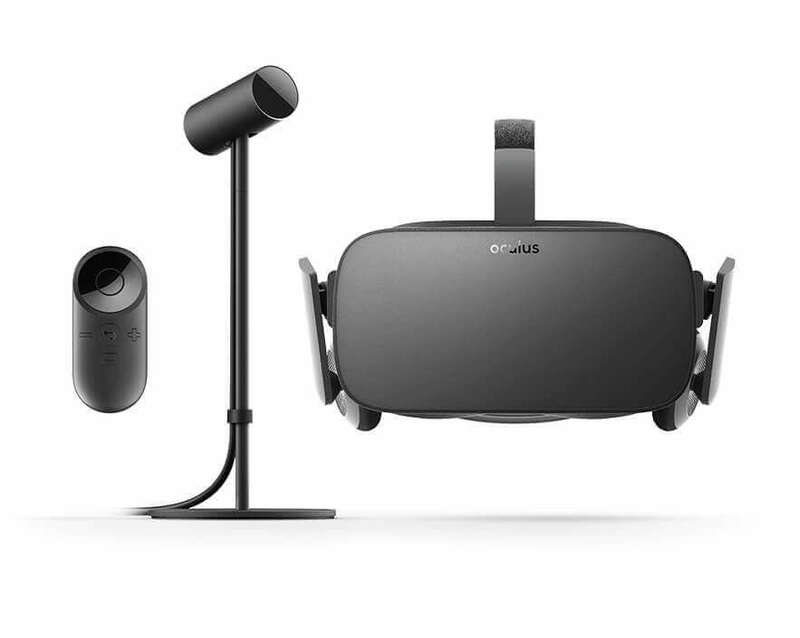 No problem, just swap on your favorite for full customization. 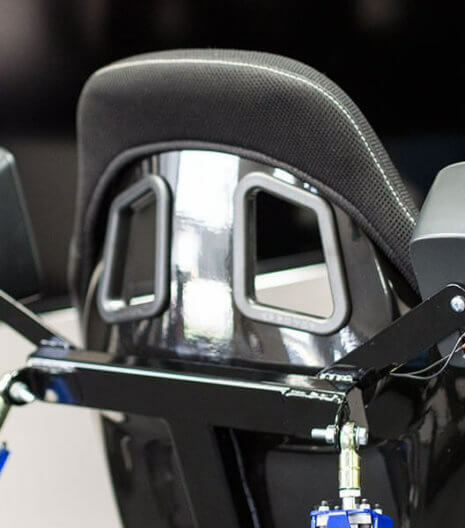 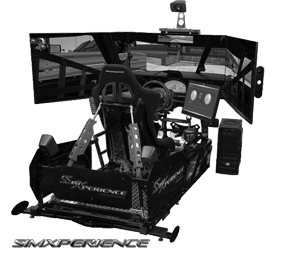 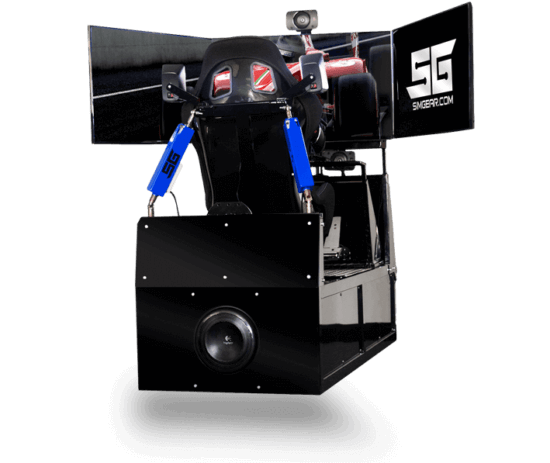 Paired with a SimGear motion simulator, driving in a game will never be the same. 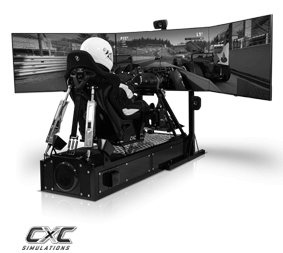 Use it as a training tool to learn a track or just tear apart your friends on your favorite track. 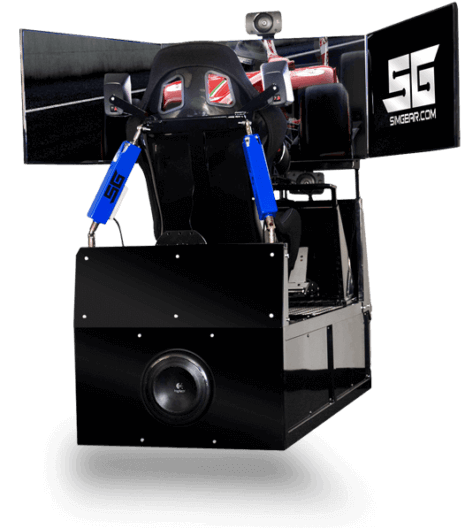 Add to any SimGear simulator for additional cost. Our design allows for the unit to be moved around without removing any components and once in place it delivers a full motion, 5.1 1000watt surround sound, force feedback, 120 inches of screen or VR headset, visceral, heart pounding racing experience like you've never had before all within 5 minutes. 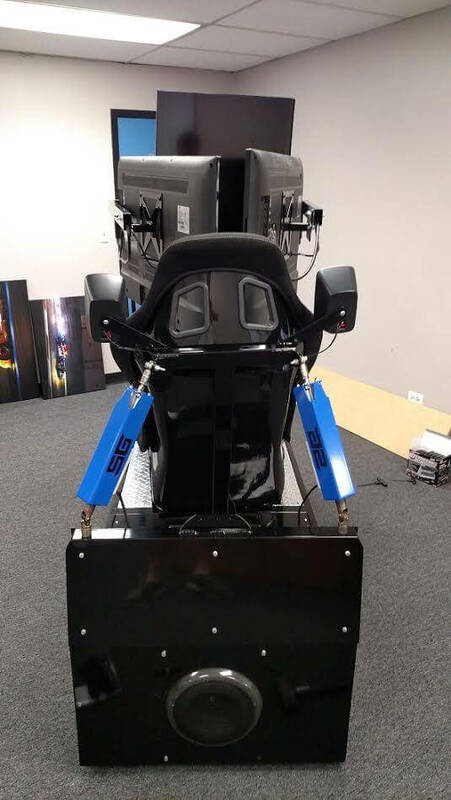 All components and wires are internal to the chassis and is raised up off the ground to allow for easy entry and exit for those with bad backs or knees. 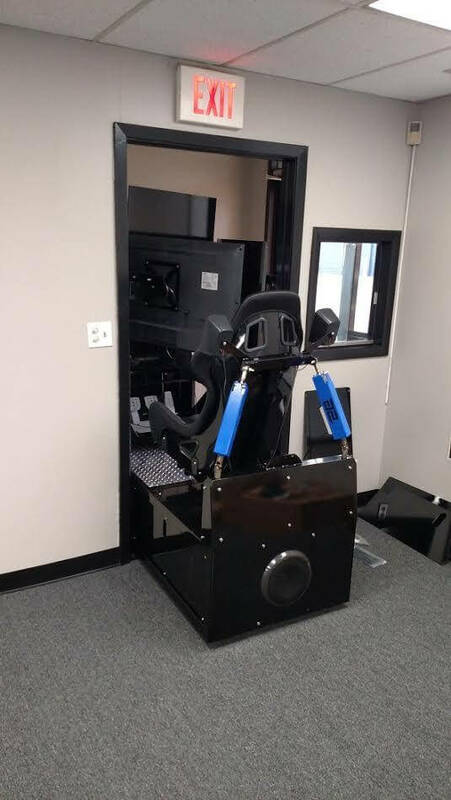 When not in use, the simulator can fold up and roll into a corner so that you do not need to dedicate space to the simulator when not in use.